We all want to be safe and secure, and to live without fear, and that’s a human right that we all have. But in the U.S., gun violence is an epidemic that directly threatens these rights – and Amnesty International is addressing it as the human rights crisis it is. A staggering number of people are killed with guns in the United States every year. Fueling this epidemic, laws on guns in the United States are inconsistent and weak – and federal, state, and local governments are not meeting their obligation under international law to protect people’s safety. Amnesty International is shifting the discussion on guns to focus on the rights we all have to live free of violence and fear, and we’re working to pass common-sense legislation at the state and federal levels that can protect people from gun violence. We conduct research that shows the extent of the problem, the human rights implications, and how local, state, and federal governments can meet their obligations. Our research team is currently in the field on a project related to gun violence that will be released in early 2018. We work with local, state, and national coalitions to put gun violence into a broader human rights context. Read more about our stance in this blog post and view our testimony to the Inter-American Commission on Human Rights. Number of people killed with guns each year in the U.S. Proportion of all gun deaths in the world that take place in the U.S. Number of gun control laws passed by the U.S. Congress in the last three years. On a September afternoon, a gang member who was reportedly seeking revenge for a minor injury suffered in a gang-related shooting walked into a crowded park with fellow gang members, and one of them unloaded more than a dozen bullets from an assault rifle, injuring 13 people – including a three-year-old boy. One of the bullets struck the boy just behind his right ear and exited from his face. He recovered after multiple surgeries. 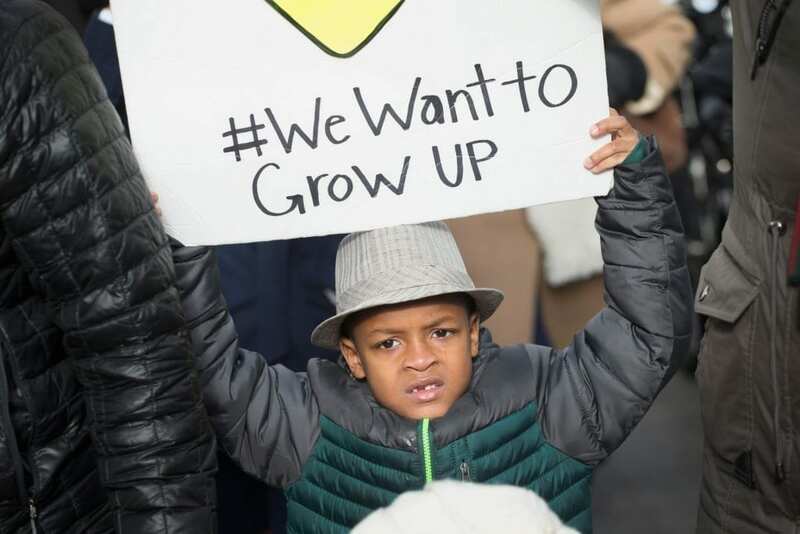 Amnesty International documented the boy’s story and several others in a 2014 report on the epidemic of gun violence in Chicago. The report outlined how gun violence violates the human rights of men, women, and children in communities across the nation, and it outlined a series of reforms that need to be adopted in the United States to protect people.